Software is no longer "as a Service". Usefully organized, insightful, scalable and global. Vendors build and sell amazing business applications. MeasureMatch provides exceptional access to professional services & more. MeasureMatch's network of service providers know systems like these + 1,000s more. Apply for a Vendor account. It's fast & free. And then it's 3 easy steps. Invite a minimum of 3 existing services partners; automatically approved for your Service Hub. Start by inviting existing service provider relationships. Respond to EOIs (Expressions of Interest) from MeasureMatch's global network of consultants & consultancies. Service Hubs are only visible to clients, and only after a minimum number of service providers are approved. Bring your own and/or approve from the global MesasureMatch network of independent consultants & consultancies (already screened and interviewed). Across the MeasureMatch global network, including technology vendor-verified professionals, clients are presented with the ultimate in service provider choice. Benefit from unparalleled market intelligence provided in your Service Hubs reporting dashboard. Why sign up to MeasureMatch? All clients need help to maximise the value from SaaS and other systems investments. The MeasureMatch Human Cloud platform is an important route to providing direct, seamless access to certified service professionals, including independent consultants and consultancies. MeasureMatch’s Vendor Service Hubs provide the controls to review and approve service provider partners. Technology vendors also get a reporting console unveiling the expertise and services that clients are browsing, which ones are getting booked into contracts, the value of each, where in the world and more. MeasureMatch clients are marketing, commerce, customer experience & other enterprise business leaders. MeasureMatch’s Vendor Service Hubs are excellent opportunities to retain and grow existing client relationships, and also to reach, attract and win new ones. Take a look and get in touch if your questions aren't answered below. Who has access to, or can see, Service Hubs? All technology vendor Service Hubs are only accessible by registered MeasureMatch Clients & Experts. Clients can see Service Hubs, but only after a minimum of 3 service provider partners' profiles have been approved by the technology vendor admin to be featured there. MeasureMatch Experts are provided with a restricted view only showing that a Service Hub is available to receive EOIs (Expressions of Interest) to participate. MeasureMatch Experts cannot see any of the consultants or consultancies featured in a technology vendor's Service Hub, and other technology vendors do not have access to, or visibility of, Service Hubs. How do we know if the MeasureMatch Expert network is any good? Good question. All MeasureMatch Experts participating in our network have been screened and interviewed (we do a lot of calls). That said, technology vendors will have their own requirements, so it will be important for them to schedule their own screening calls and ask for evidence of skills and experience (e.g. case studies, certifications, client endorsements, etc) before approving profiles. 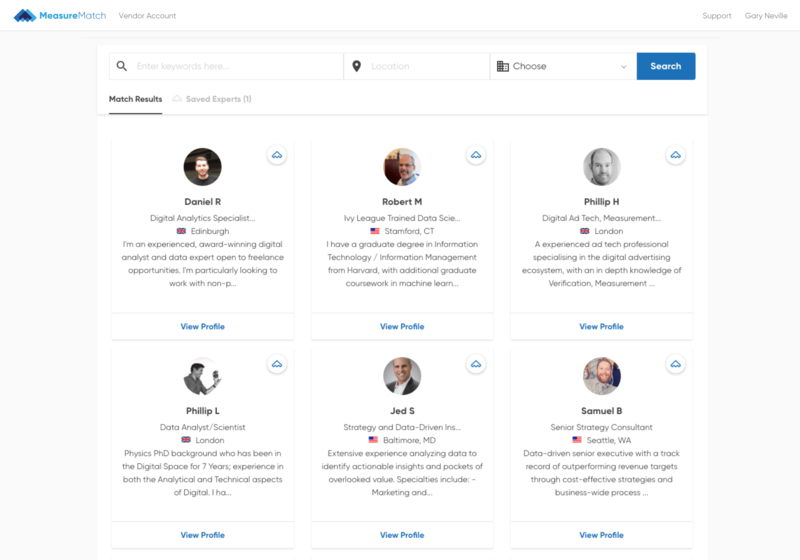 Can MeasureMatch’s network of consultants & consultancies apply to be featured via our Service Hub? Yes. Although, it's important to note, technology vendors are required to invite a minimum of 3 of their own service provider partners to participate in the MeasureMatch Marketplace – these will be the first service providers to be featured in your Service Hub. In addition to participation by existing service provider partners, existing MeasureMatch consultants and consultancies will submit Expressions of Interest to be to be featured in your Service Hub, too. These can be easily approved or rejected by Service Hub admins. The MeasureMatch team can be engaged to manage the service provider review, approval, rejection process as required (please get in touch to ask about this service). Is there an opportunity for lead generation i.e. for MeasureMatch clients to get in touch with us directly? Yes. 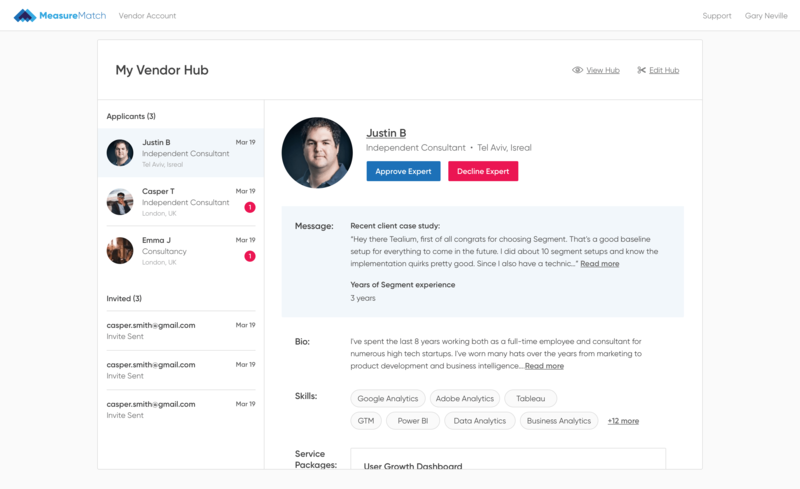 Although we’re not in the business of monetising software sales (only professional services), each technology vendor’s Service Hub comes with functionality for clients to get in touch with tech vendors directly. 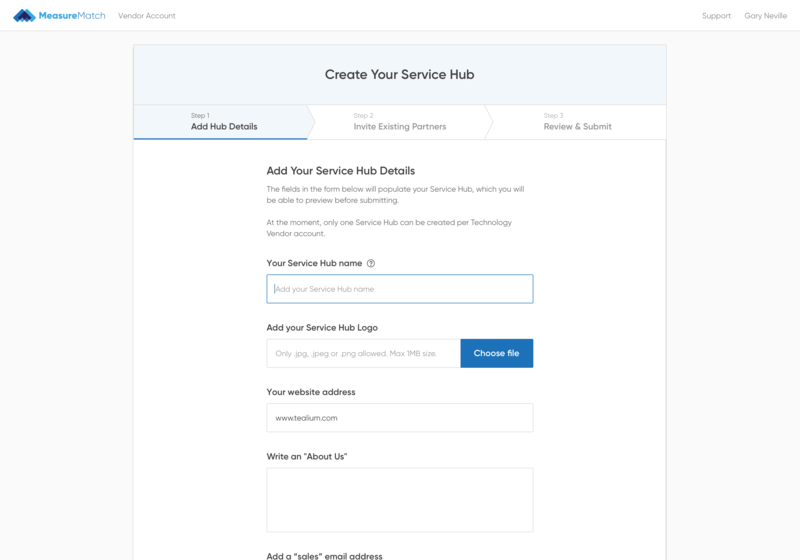 The “to” email address can be custom defined during the Service Hub set-up process. MeasureMatch clients are commonly venture-backed and enterprise brands, marketing services agencies and consultancies in need of extra pairs of hands to get important marketing, commerce, customer experience and related enterprise applications and data management and data science work done. Get in touch to request a copy of a client presentation. What is the cost for technology vendors to participate in MeasureMatch’s Service Hubs? You'll need 15 minutes to sign up, set it up and a little time on an ongoing basis to review and approve/reject new or existing service providers. That’s it. How are MeasureMatch's Service Hubs different from our own partner directory? Good question. The differences are not insignificant. Partner directories are often no more than a relatively small collection of logos directing existing and prospective customers to service partners’ websites. In some cases, technology vendors require fields to be populated to enable some lead generation. These kinds of directories are easy to initially set-up, but they are difficult to maintain and evolve into measurable, additive value. The time and cost, as we’ve learned from large and small tech organizations, are rarely returned. MeasureMatch’s Service Hubs are different. Technology vendors are presented with a scalable and data-driven platform, in addition to a global network of potential service provider partners to screen, vet and onboard into their Service Hubs, which clients can easily find, book, pay and rate for services rendered. Can our technology organization participate in MeasureMatch's Service Hubs if we don’t have any existing service provider partners? Possibly. Get in touch so we can better understand your status and requirements. 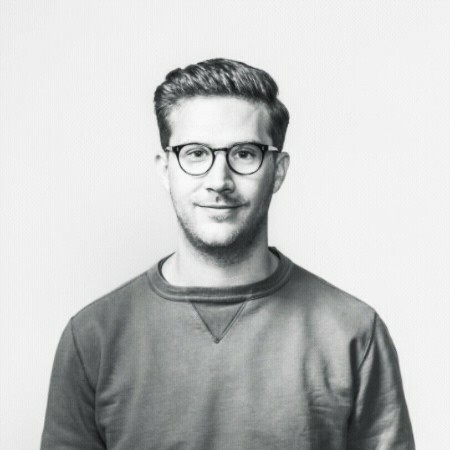 "MeasureMatch has an extremely promising business proposition, tapping into the need for organisations today to stay nimble and competitive by sourcing expert talent from anywhere in the world and in a variety of ways that fall outside the traditional employment method."